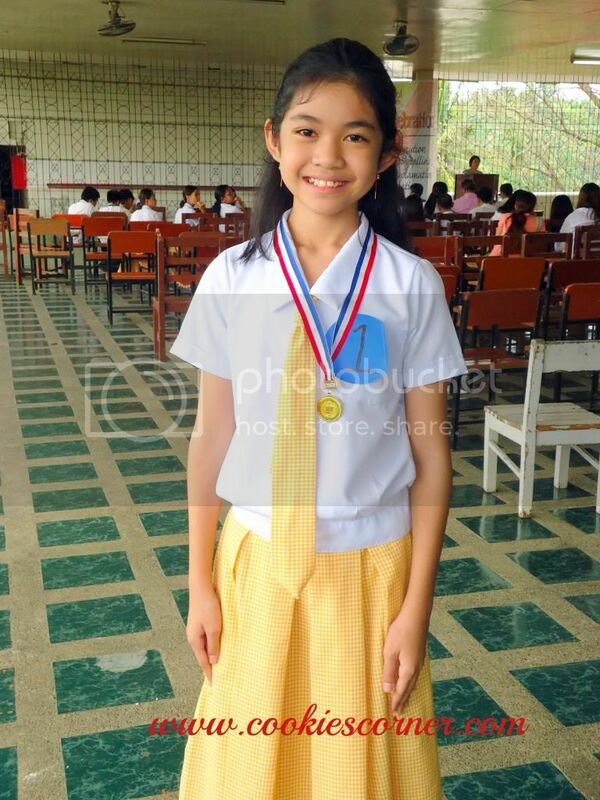 I wanted to Congratulate my eldest daughter Chloe for winning the Elocution Contest for the 2nd time around. She won the gold medal last year, and this year, she grabbed the gold again (or 1st place). I was there this afternoon to watch her recite her piece in the platform. So far, she was able to nail it. And I thank my friend also who helped me in honing my daughter's skills. Everyone thought my daughter deserved the award, some students were betting for her to win and she did. I thank the Lord for answering our prayers. I thank Him for guiding my daughter and He did. Thank Lord God for everything!